Professor Steven J. Brams developed a general dynamic modeling framework called the “Theory of Moves” (or TOM) and used it to offer several (plausible) explanations of the 1962 Cuban Missile Crisis. Brams  also developed a few explanations using standard game-theoretic concepts. For instance, he suggests that the compromise outcome can also be supported in equilibrium if Khrushchev either deceived the United States by suggesting that the compromise outcome was his most-preferred (when it was not) or if his preferences “deteriorated” as the crisis progressed and the compromise outcome actually was his most-preferred. Additionally, Brams constructed an extensive-form game model in which the compromise outcome is a (sub-game perfect) Nash equilibrium. In this article, we will concentrate on the theoretical core of all his explanations and ignore the subtle differences that set the various explanations apart. Like Fraser and Hipel , Brams abandons both a normal-form representation and the standard Chicken analogy. Instead he begins by considering the “payoff matrix” given by Figure 1. The cells of this graphical summary of the crisis represent possible states of the world (or outcomes). The ordered pair in each cell of the matrix reflects Brams’ understanding of the relative ranking of the four possible outcomes by the United States and the Soviet Union, respectively. Brams assumes that once a game begins either player can move from whatever outcome is the initial state (or status quo outcome) and, if it does, the other can respond, the first can counter-respond, and so on. The process continues until one player decides not to respond, and the outcome that they are at is the final outcome. Any outcome from which neither player, looking ahead indefinitely, has an incentive to move to another state of the world, including the initial state, is said to be a nonmyopic equilibrium. When Kennedy announced the blockade on October 22, the Soviet missiles were already being installed in Cuba. This, the initial state of the world, was the worst for the United States and best for the Soviet Union. Thus this outcome is labeled “Soviet Victory”. Brams  suggests several reasons why the Soviet Union would then withdraw the missiles and induce its next-best outcome, the Compromise outcome, rather than stick with its initial choice. For example, if the United States had what he calls moving power, which is the ability to continue moving in a game when the other player cannot, it could induce the Soviet Union to end the game at (3,3) by forcing it to choose between (3,3) and (4,1). Or, if the United States possessed threat power, which is the ability to threaten a mutually disadvantageous outcome in the first play of a repeated game, it could similarly induce the Soviet Union to withdraw the missiles by threatening to remove them with an air strike if they did not. But regardless of the reason why the Soviets decided to withdraw the missiles, once they did, the game ended. Brams’ explanation [Superpower Games; Yale University Press] is that the Compromise outcome is a nonmyopic equilibrium, that is, neither player can do better by moving the game to another state of the world by changing its strategy choice, given that the other might then switch to another strategy, it might then be forced to also change its strategy, and so on. To see this, consider Figure 2 which lists the sequence of moves and countermoves away from the Compromise outcome that would be touched off if the Soviet Union reversed its course and decided to maintain the missiles after all. At the last node of this tree, the United States has a choice of staying at its second-worst outcome or cycling back to the Compromise outcome, its second-best. As indicated by the arrow, the United States would rationally move. Similarly, at the previous node, the Soviet Union would move away from (4,1) its least-preferred outcome to its next-worst outcome (2,2). But it would do so not because it prefers (2,2) to (4,1)— which it does—but because it would anticipate the outcome induced by the American choice at the subsequent node which is better still. 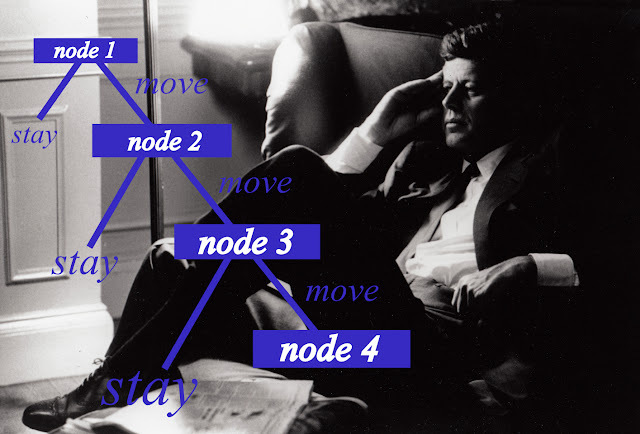 Counter-intuitively, perhaps, the United States would, at the second node of the tree, also rationally move to its best outcome, not because it is its best outcome, but because it prefers to cycle back to the Compromise outcome, which is its second-best, to terminating the game at (1,4), its least-preferred outcome. It would be a straightforward exercise to show that there is also no incentive for the United States to precipitate the move-countermove process once the Compromise outcome is reached. And since neither player has a long-term incentive to move away from this outcome if and when it is reached, it constitutes a nonmyopic equilibrium. Brams’ explanation proceeds from this fact. As in the equilibrium, the Compromise outcome is, by definition, consistent with the rationality postulate. And since it is the only non-myopic equilibrium in the matrix of Figure 4, it is the only outcome that can persist under rational play. All of which is another way of saying that the Soviet Union withdrew the missiles because, looking ahead, they believed that maintaining them would not be in their long-term interest. Given the American blockade and the incentive structure of the game, they simply could not win. There is obviously much to like about the Theory of Moves framework. Indeed, I have used it myself to explore the dynamics of both one-sided and two-sided deterrence relationships and to analyze a number of acute interstate crises (Zagare, ). The Theory of Moves is a simple and extremely intuitive methodology for analyzing complex interstate conflicts like the missile crisis; it is also more general than the analysis of options technique developed by Fraser and Hipel ; its major solution concepts are easy to calculate and interpret; and since it is based only on ordinal utilities, it requires fewer “heroic assumptions” than many other game-theoretic frameworks. In the case of the missile crisis, however, its strengths are also it weaknesses. Since the concept of a nonmyopic equilibrium has not as yet been successfully defined in games in which the players have more than two strategies each, it can only be used to assess the rationality of four outcomes at a time. This limitation explains why Brams starts his analysis on October 22, the day that Kennedy announced the blockade. In consequence its theoretical range is restricted. Why did the Soviets precipitate the crisis by installing the missiles in the first place and why did the United States then respond by blockading Cuba? These are questions that Brams does not address and, in fact, cannot address within the confines of a single integrated game model using the Theory of Moves framework. Thus, while his analysis of the end-game of the crisis is both insightful and penetrating, his explanation remains incomplete. Professor Steven J. Brams is a game theorist and political scientist at the New York University Department of Politics. 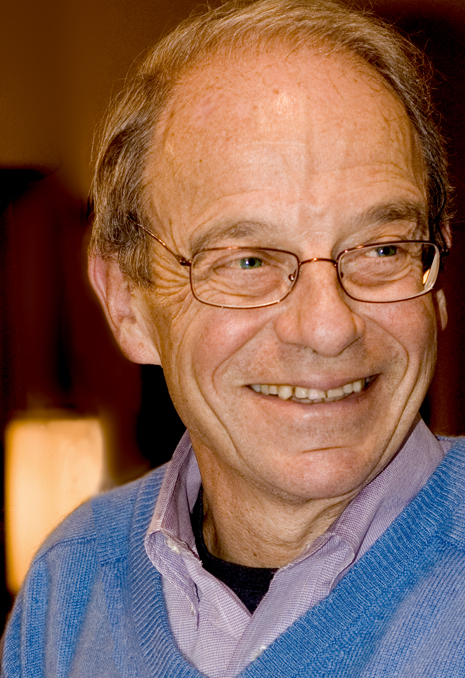 Brams is best known for using the techniques of game theory, public choice theory, and social choice theory to analyze voting systems and fair division. He is one of the independent discoverers of approval voting, as well as an extension of approval voting to multiple-winner elections known as Satisfaction approval voting. Fellowships/Honors: American Association for the Advancement of Science Fellow, 1992; President, Peace Science Society, 1990-1991; Guggenheim Fellow, 1986-1987; Russell Sage Foundation Visiting Scholar, 1998-1999, President, Public Choice Society, 2004-2006 (Fellow, 1998). External Affiliations: American Political Science Association, International Studies Association, Peace Science Society, Public Choice Society, Social Choice and Welfare Society, American Association for Advancement of Science. Frank C.Zagare is UB Distinguished Professor of Political Science. A former Vice President of the International Studies Association, Dr. Zagare is a member of the editorial board of International Interactions. He has served on the Advisory Panel of the National Science Foundation, on the editorial board of International Studies Quarterly, as a member of the Presidential Nominating Committee and the Professional Rights and Responsibilities Committee of the International Studies Association, as a Councilor for the Peace Science Society (International), as a Council Member of the Conflict Processes Section of the American Political Science Association. In 2005 he received the Susan Strange Award from the International Studies Association. He is the author, co-author or editor of six books including Perfect Deterrence (with D. Marc Kilgour), The Dynamics of Deterrence, and Game Theory: Concepts and Applications. Fraser, N.M.; Hipel, K.W. Dynamic modelling of the Cuban missile crisis. Confl. Manag. Peace Sci. 1982, 6, 1–18.